The Bee Poems are a collection of found and collaged texts derived from the books that make up The Bee Libraries. The books are converted into nests for solitary bees and a residue of their content is refined into poetry, much as honey is refined from nectar. The poems derive from classic studies from Virgil to Von Frisch, apiculture, scientific studies of bee behaviour and representations of bees and beekeeping in myth and art from ancient times to the present day. The project is ongoing, published as a series of short blogs. 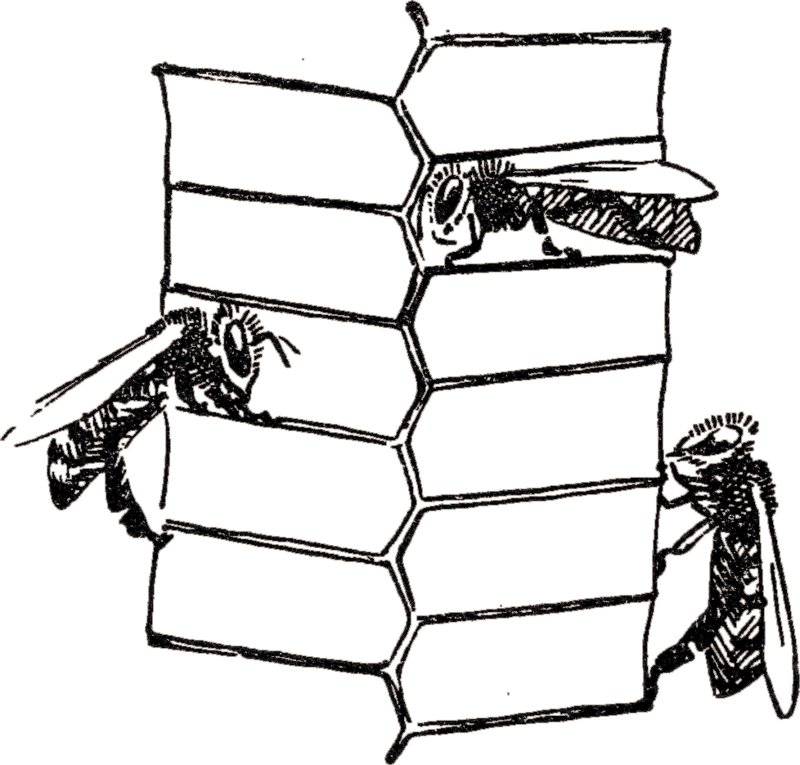 The Bee Libraries are collections of bee-related books converted into nests for bees. 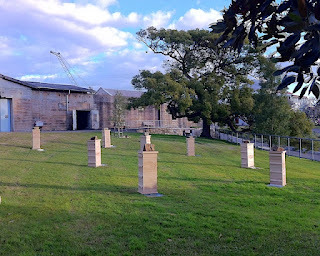 Between 2012-14 libraries were installed at Yorkshire Sculpture Park, the 18th Biennale of Sydney, the National Fruit Collection (Brogdale), Yorkshire Dales National Park, and University of Stirling, and Shandy Hall. Constructed from a book, bamboo, wire-netting and water-proofing, each nest offers shelter for solitary bees, whose numbers are in steep decline. 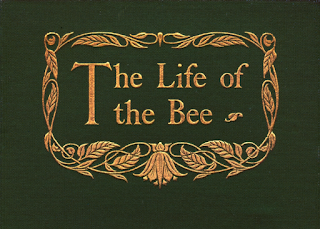 The Bee Poems are a collection of texts composed from a close reading of the books. During 2013 Alec Finlay was Artist in Residence at the University of Stirling, supported by the Leverhulme Trust. He worked in collaboration with writer Kathleen Jamie and scientists specializing in solitary bees. The project shed light on the increasing fragility of pollinators; reconsidered the symbolism of bees in myth, politics, economics, and society; and reflected on bee communication, colour-perception, and honeycomb construction. Finlay translated this knowledge into sculpture, poetry, and a bee library for the campus. Global Oracle juxtaposes contemporary communicat- ion networks and ancient myth. The Omphalos stone in the oracle at Delphi was patterned with a crosswork of bees, which the ancient Greeks associated with the soul. The contemporary oracular network is the NAVSTAR GPS satellite system. Global Oracle models satellite nests for solitary bees, constructed from straw, willow, steel, and wood. The artwork was commissioned by University of Warwick and is now installed. Swarm (ASX) is an apicultural model of the global financial system. Fluctuations in the stock market reverberate in the ‘buzz’ of honey-bees broadcast from 10 hives. Each hive bears the acronym of a major world stock exchange – New York, Toronto, Sao Paulo, London, Frankfurt, Mumbai, Shanghai, Hong Kong, Tokyo, and Sydney. Installed at the 18th Biennale of Sydney, Swarm (ASX) is a snapshot of speculative finance translated into the natural ecosystem of bees: dynamic, in flux, undergoing crisis. Brogdale: National Fruit Collection: during 2013 Finlay created two permanent artworks in the orchard at Brogdale. 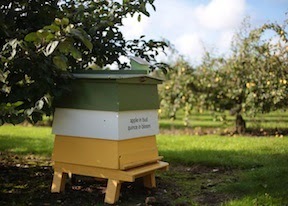 Succession is a record of fruit species – pear, plum, cherry, quince, and apple – with beehives colour-specified to varieties, and a text noting the order in which they bloom. 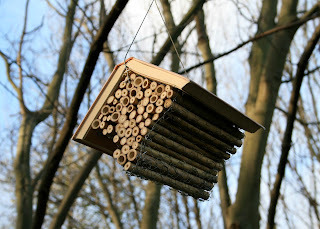 The bee library continues his UK-wide installation of book-nests for solitary bees, with related poems. Posts documenting these projects, with photographs by Hannah Devereux, are published here. Bees in Philosophy: A Public Reading Group. 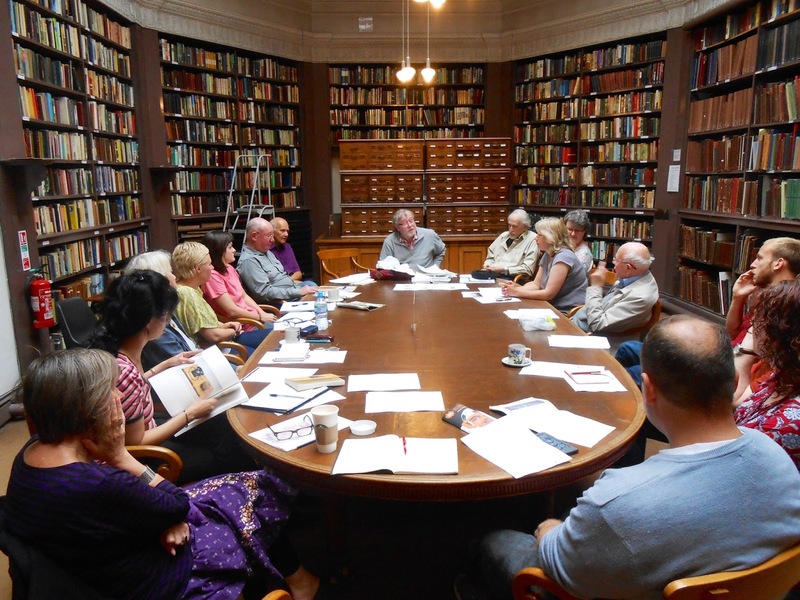 A group led by philosopher Peter Tooth met monthly at Newcastle's Literary & Philosophical Society to share and discuss texts related to bees, beehives, and the use of the bee as a metaphor in the work of philosophers and thinkers such as Aristotle, Tolstoy, Kierkegaard, Karl von Frisch, Rudolf Steiner, Charles Fourier, Bernard Mandeville, and many others. One of the questions the group sought to address was: are bees and beehives useful philosophical metaphors? In this, his summary-report, Peter outlines the subject matter covered by the group and offers some conclusions. 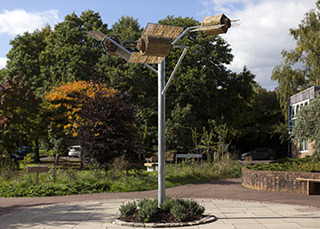 Chelsea Physic Garden: a poemed beehive and 10 book-nests for solitary bees. Books used to make the nests include early classics by William Forsyth and Phillip Miller, and modern scientific accounts such as Herbert Mace’s wartime study of apiculture Bees, Flowers and Fruit. The hive is managed by a local beekeeper. 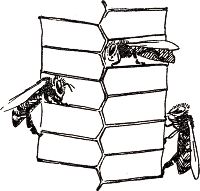 The blog includes a sequence of poems composed from the books converted into nests.